Posted in: GET HYPED!, JoJos. Earlier today, Namco Bandai and CyberConnect2 debuted the newest trailer for JoJo’s Bizarre Adventure All-Star Battle. At 10 minutes in length, the video showed footage of all the new fighters announced in the recent months. It also contained a message from the developer, as well as extended gameplay footage of the existing cast. Currently the trailer is viewable on YouTube, via a CamRip from Shinjuku Square, embedded below. Posted in: GET HYPED!, JoJos. Tagged: Am I funny yet, Hi RiCK. Earlier this week, Namco Bandai released the latest trailer for Jojo’s Bizarre Adventure: All Star Battle. 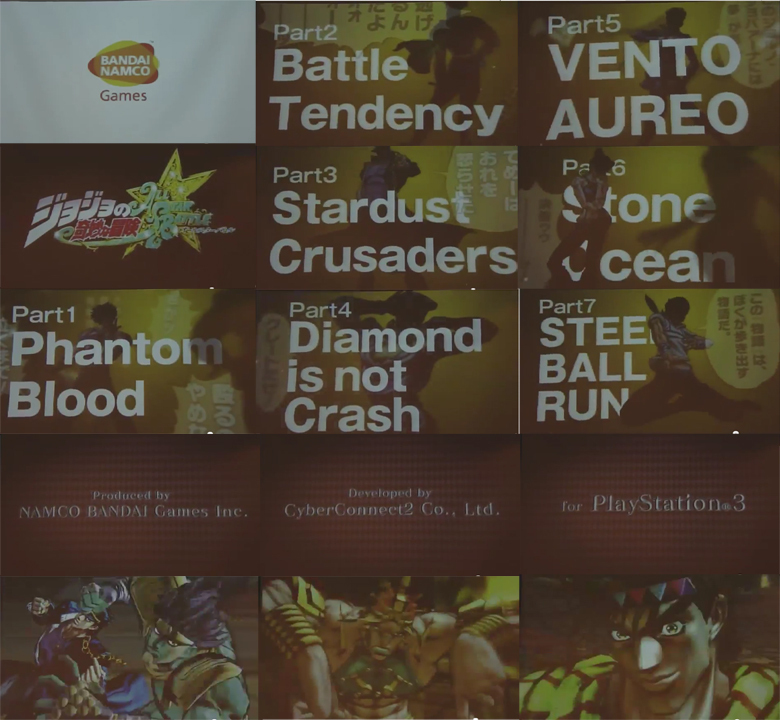 The trailer has new game play showing various “rivalries” between many characters; from Jolyne vs Jotaro to Abdul vs Wham. Also included in the trailer is footage of all 4 of the newly revealed characters: Jonathan Joestar and William A. Zepelli from Phantom Blood, Johnny Joestar from Steel Ball Run and Josuke Higashikata from Jojolion, along with footage of the first confirmed DLC character, Yoshikage Kira from Diamond Is Not Crash. Not even Gappy can take the translation of Part 4’s title seriously. Street Fighter X Tekken Ver. 2013 Patch (Finally) Available! Posted in: GET HYPED!. Tagged: Not a viral. Street Fighter X Tekken Ver. 2013 is out now! The free update for everyone’s favorite, totally not boring game is finally available for PS3 and XBOX360. This balance patch changes several aspects of the game; character’s moves, as well as minor engine and graphical tweaks being the primary focus. 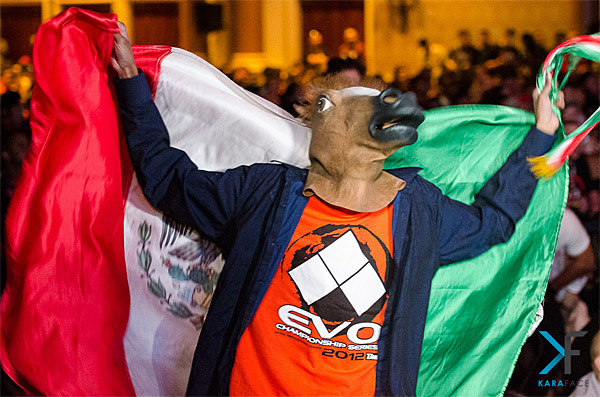 SFxTK is slated to return to EVO this year. One hopes this patch will fix the flaws that plagued its success last year. In regards to balance changes, Capcom has posted a series of videos featuring the fixes for each individual character. A playlist of these videos is available HERE. Bear in mind the videos omit smaller changes, while highlighting more noticeable ones. Unless you want to be a NERD and get bullied by everyone else, this author recommends downloading the patch ASAP. Scans of some Japanese Magazine™ have revealed Will A. Zeppeli, Johnathan Joestar, and Johnny Joestar with Slow Dancer as playable characters in the upcoming game, JoJo’s Bizarre Adventure: All Star Battle. This brings the number of fighters up to 18. Analysis of the accompanying images show both Johnathan and Zeppeli using a variation of the Zoom Punch. Jonathan also appears to be wield Luck and Pluck, the sword of Bruford. Like Gyro shown previously, Johnny will appear to have access to his horse and make use of The Spin. All Star Battle is slated for a 2013, speculated sometime in March. Earlier today, NetherRealm Studios announced that the sequel to the hit game Mortal Kombat vs DC Universe their newest fighting game, Injustice: Gods Among Us, will be released on April 16th. 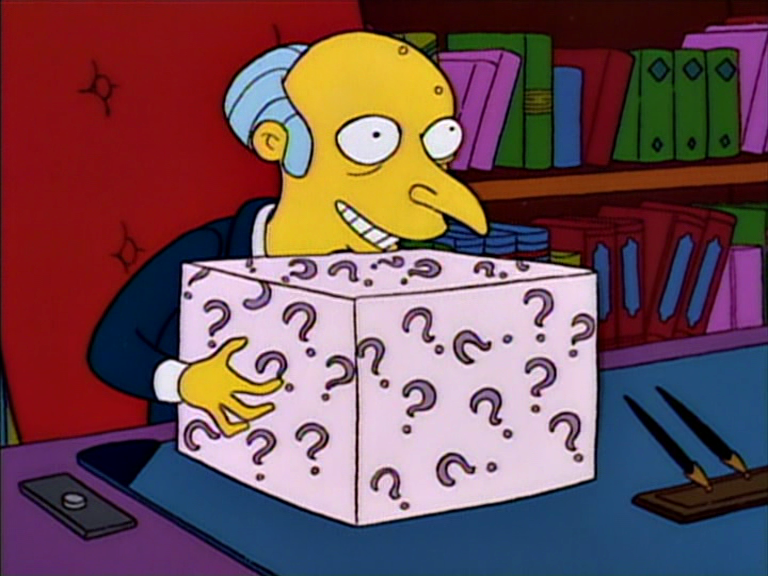 Aside the release date, NetherRealm also announced a Battle Edition of the game. 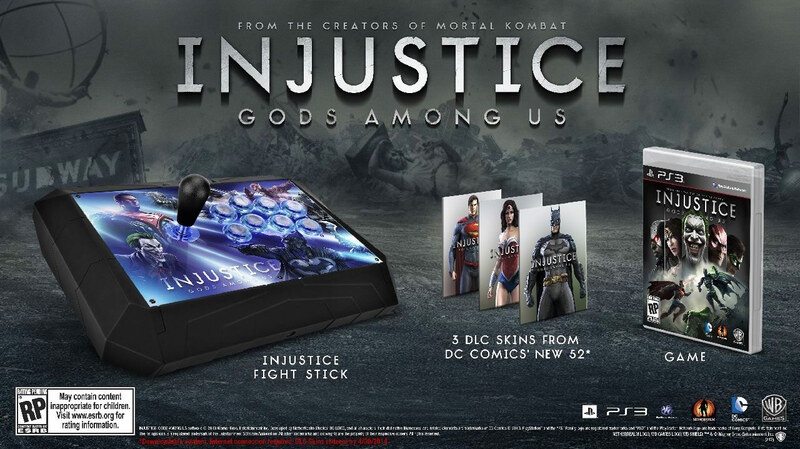 This special edition comes with a fight stick, additional DLC costumes based off The New 52, and other non-video game related materials for the Xbox version. Fightstick or reason to purchase not pictured. Missed potential with the lack of a Bat Man logo on the bat top. 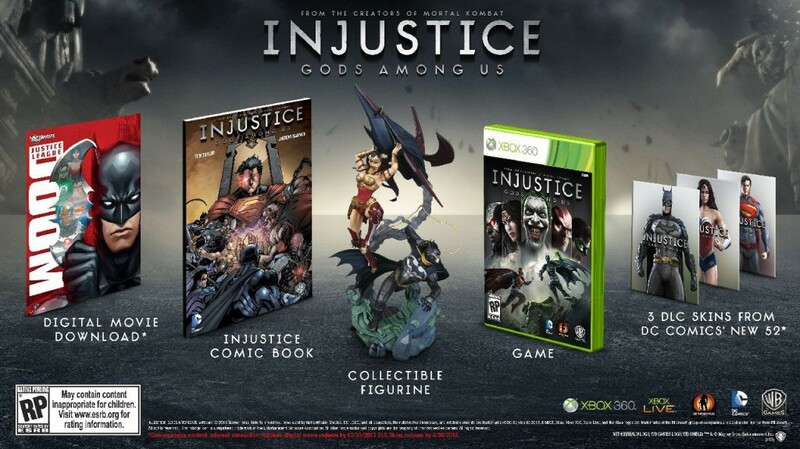 Along with the release date comes the renewed chance that Injustice will get a slot as the 8th EVO Game; that is, if Warner Brothers uses their funds to assert dominance over the donations. Mr. Wizard after NetherRealm gives him the ability to buy every Mc Rib in Vegas.